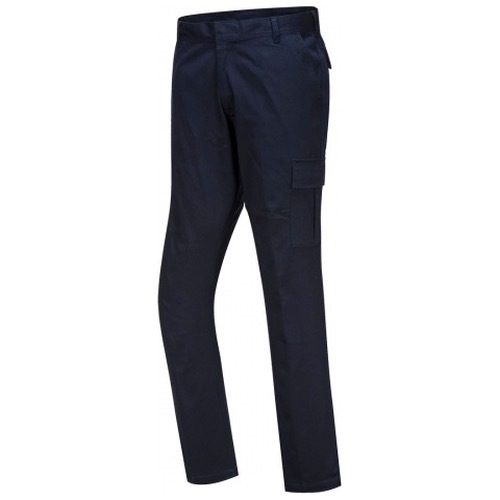 The Portwest S231 slim fit stretch trouser has all the features of a cargo style with the advantage of dynamic cotton stretch twill fabric. 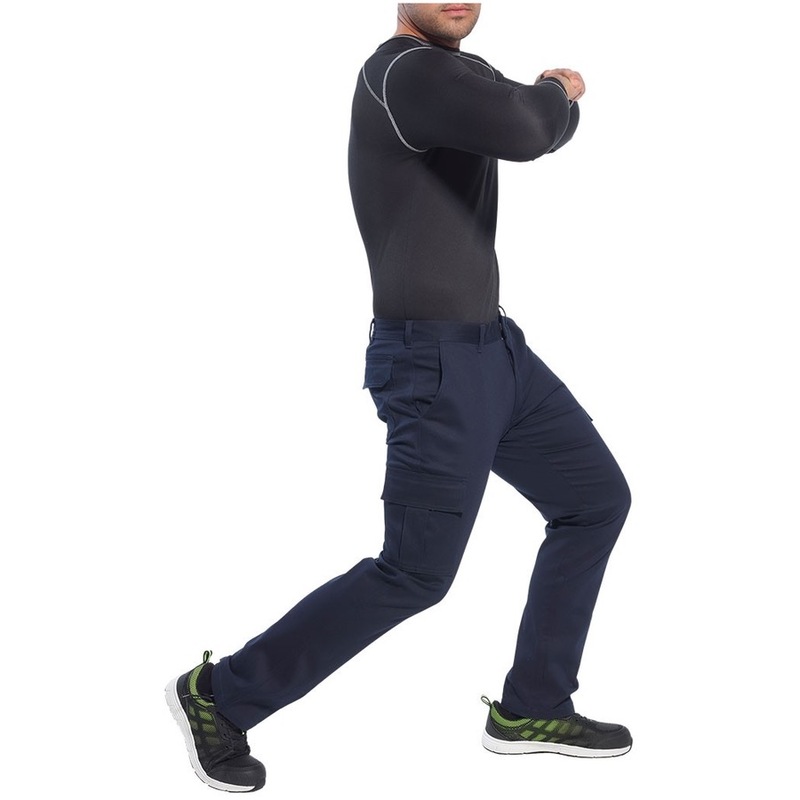 This stretch fabric gives the ultimate in comfort and freedom of movement. Features include multiple utility pockets and a concealed hook and bar waist fastening. 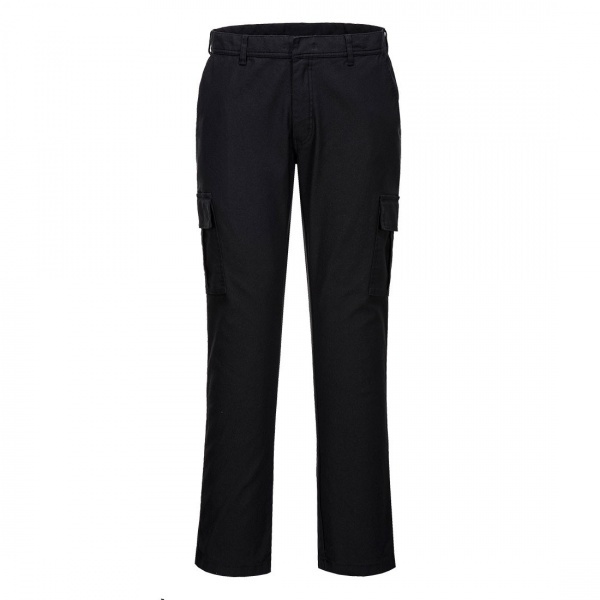 With twin stitching throughout and bar-tacking at all stress points this trouser is highly durable.